HS700 Micro Pressure calibration pump is made from high quality and transparent acrylic material which make a beautiful and compact structure and enables the operation of piston to be clearly seen. As a bench top Pressure calibration solution, it is specially designed to generate micro pressure from -0.5 bar to 0.5bar for calibration of pressure gauges or other pressure instruments in laboratory or on site at the measuring point. 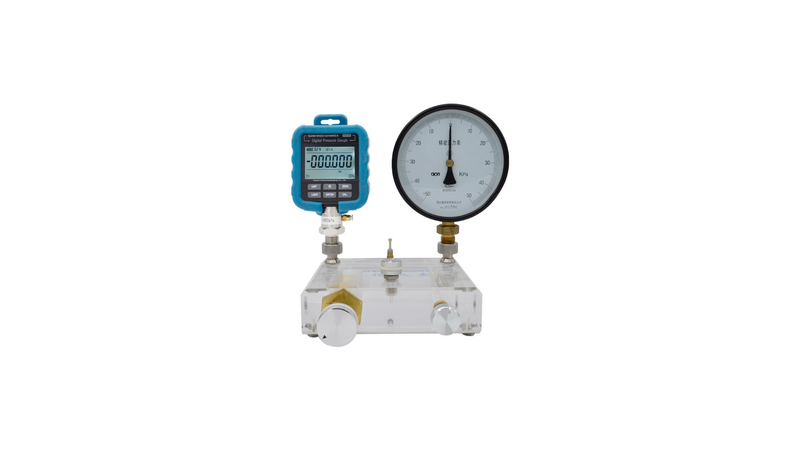 HS700 Provides accuracy, stability and reliability for micro pressure calibration of pressure measuring instrument through comparison measurements. it can be extensively used in Power, Chemical , Oil, Metallurgy , Metering, Military industry, etc.